We provide dependable access to Professional Cantonese Interpreters and Translation services to help you communicate the benefits of your product or service. In need of a professional Cantonese Interpreter or Cantonese Translator to help you communicate with a limited Cantonese Proficient (LEP) client, friend, business partner or large group? You have reached the right place, MEJ is Professional Cantonese interpreter and translator service provider offering competitively priced and easy on demand access to professional experienced Chinese Cantonese interpreters and translators nationwide. Our Interpreters and Translators have Bachelor degrees, formal interpreting or Translating training and have varying fields of expertise. 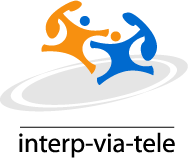 Certified Translations and during your meetings ,appointment or conferences that require On-site Interpreters or Telephone Interpreting services. We have the experience , network of trained interpreters/ translators and we know how to help you deliver your ideas , services or benefits effectively to your non English speaking audience yielding satisfactory results. It doesn't matter if your are a department head that needs to coordinate Cantonese interpreter and translation services for a big event that include powerpoint slides, a Lawyer that needs a Cantonese Interpreter for a legal deposition or a Doctor that needs to get a Cantonese Medical interpreter for a emergency medical appointment. MEJ can we have the right Cantonese interpreter or translator for the job. Our language service division is available 24 hours a day to respond to your request for professional Cantonese interpreter and translation services. We will work closely with you to develop a cost effect solution to address you individual or organizations need for professional Cantonese interpreting or translations services. So, join the ranks with hundreds of other satisfied clients and call 212-426-6017 to get a Free Quote or use our On-line Quote request form to get your Cantonese interpreting or translation project scheduled today. Our Cantonese Interpreters and Area's of Expertise. We provide Cantonese Interpreters services for medical centers, clinic, hospitals,mental health Centers,Doctor offices, nursing homes, legal and law offices, Court Rooms, Conferences , Insurance companies, meetings, government agencies, classrooms, social service setting , marketing events and more. Cantonese Translations Area's of Expertise. Our Cantonese Translators are experienced with terminology and providing high quality Cantonese Translations services for the following fields and industries - financial, IT, sales, marketing, media, legal, travel, software, consumer, business, telecom, real estate, Human Resources, Technical, Public Relations,, medical, governmental, insurance , Health care, Advertising, Fashion , Art, Engineering , communications,real estate, and the translation of industry related materials. Please consider MEJ when you a Cantonese Interpreter or Cantonese Translation is needed or Wanted Call 212-426-6017. When using MEJ you will be guaranteed to received a experienced trained professional Cantonese interpreter or translator that has been screened and understand the importance of cultural brokering. In addition to providing professional on-site Cantonese interpreters we also provide access to over 140 more languages, All of our interpreters and translators are bound by Interpreters and translators professional code of ethics and are familiar with HIPAA regulations. You can rest assured that the your rights to confidentiality will be observed and protected. MEJ Skilled professional Cantonese translators are experienced with delivery high quality translation of document ,video,audio and web. Our skilled team of professional interpreters are eager to assist you with emergency needs and scheduled appointment that require Cantonese interpreter services and our translation department welcome your request for Rush Cantonese translation and Interpretation services . We routinely provide the professional translation of Chinese in both traditional chinese and simplified Chinese. Delivering accurate Cantonese translations, formatted the way you want it and on time is the norm with MEJ. Commited to providing quality Cantonese interpreter services for the Cantonese Community and Increase the number of certified Cantonese interpreters. Professional Cantonese Interpreters and Cantonese Translation services New York City , Bronx, Queens, NYC Brooklyn, Staten Island, Westchester County, New Jersey NJ, Buffalo NY,Rochester NY, Yonkers NY, Syracuse NY, Albany NY , New Rochelle NY, Mount Vernon NY, Schenectady NY, Utica NY ,New York, NYC Newark NJ, Jersey City NJ, Paterson NJ, Elizabeth NJ, Edison NJ, Township NJ,Woodbridge Township , Dover Township Hamilton NJ , Pennsylvania, Philadelphia PA, Pittsburgh PA, Allentown PA, Erie Upper Darby TWP Reading PA, Scranton PA, Bethlehem PA, Lower Merion PA,Connecticut CT,Chicago Chicago , Los Angeles LA,Florida Fl, New York NY.Los Angeles CA,Chicago IL ,Houston TX, Philadelphia PA,Phoenix AZ, San Atonio Tx,San diego CA, Dallas TX.San Jose CA, Jacksonville Fl, Indianapolis IN, San franciso CA,Austin TX, Columbus OH, Fort worth TX, Charlotte NC, Detroit MI.El Paso TX, Memphis Tn,Boston MA,Baltimore MD, Seattle WA,Washinton DC,Nashville TN,Denver CO, Louisville Jefferson County KY, Milwaukee Wi,Oklahoma,Tucson AZ, Fresno Ca,Sacromento CA, Long Beach Ca,Kansas City MO,Virgina Beach VA , Atlanta GA,Coloraldo Springs CO, Omaha NE,Raleigh NC, Miami FL,Cleveland OH,Tulsa OK, Oakland CA, Minneapolis MI, Wichita KA,Arlington TX, California, Ohio, London UK.